Need more information regarding your flight? In what is undeniably a first for YXJ, an inflatable obstacle fun run is set to land at the airport on Saturday, June 1. 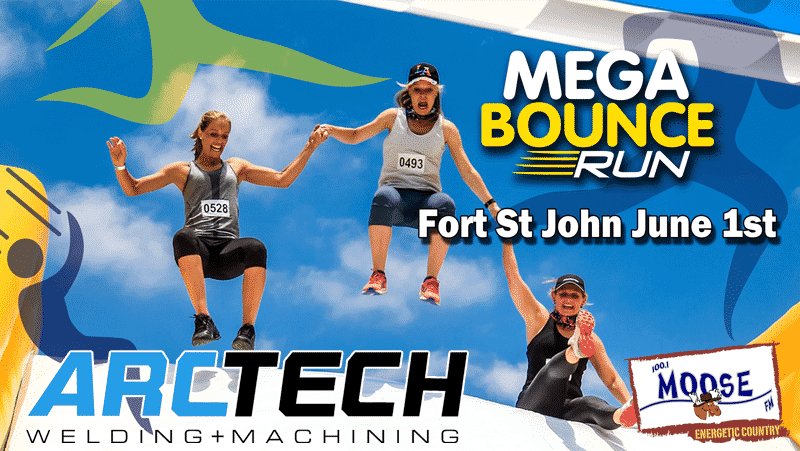 Promoted by Moose FM, sponsored by Arctech Welding & Machining and hosted by North Peace Regional Airport, the Mega Bounce Run will see locals run, jump and bounce their way through a set of nine giant inflatable obstacles situated on the airfield. This family-friendly event is open to all levels of runners and walkers, and partial proceeds from the event will go to local charitable initiatives like the United Way of Northern B.C. and the Fort St. John Hospital Foundation. More information is available on the Mega Bounce Run event website.